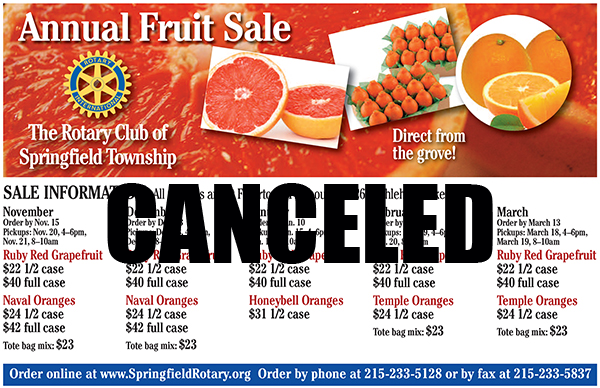 The Rotary Club of Springfield Township hosts a monthly fruit sale from November to March each year. The fresh citrus comes directly from a Florida fruit orchard. The Rotarians with the aid of some students from Carson Valley Children’s Aid unload the fruit into Flourtown Fire Company’s firehouse for our loyal customers to pick up on Friday evening and Saturday morning. Our next sale will be Friday, December 16 and Saturday, December 17. We will need your order no later than Sunday, December 11. Springfield Rotary supports its many community and international projects by selling oranges and grapefruits, delivered to Flourtown direct from Florida. Our fruit is picked fresh just a few days before each sale. 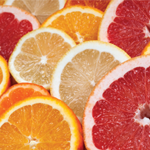 In November and December we sell Navel Oranges and Ruby Red Grapefruit. 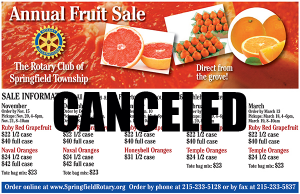 In January, Heavenly Honey Bells and Ruby Red Grapefruit are sold, and in February and March Temple Oranges and Ruby Red Grapefruits are sold. Navel Oranges: big beautiful navels kick off the orange season with an explosion of sweet juicy flavor. Ruby Red Grapefruit: the refreshing sweet taste of this all-season citrus is matched only by the vitamins tucked away under its rosy skin. Temple Oranges: rich deep color and a taste to match, the easy to peel Temples are a favorite with citrus connoisseurs. Heavenly Honeybells: get ready for a treat! Exceptionally sweet, unbelievably juicy! They are available only in January – but worth the wait! Order now for our highly anticipated Honeybell Oranges. These exceptionally juicy, mouth-watering fruit are a really special treat. The flavor is sweet and really unique. Honeybells are large bell shaped hybrids that are a cross between the super sweet Duncan Grapefruit and the delicately flavored Dancy Tangerine. They’re called “honeybells” because of their honey-sweet flavor and unique bell shape. They’re easy to peel, or can be sliced, and are usually seedless. This citrus delicacy is a rare pleasure – they are the most difficult variety of orange to grow and harvest and are in short supply. 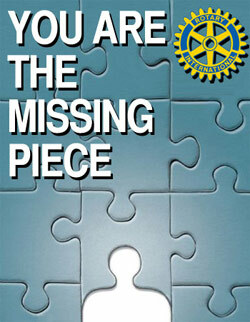 They are available ONLY in January, so order now for both you and for friends. When you purchase fruit from our annual sale, you are helping to support many local, regional and international service projects.